UEX Corporation (TSX:UEX) is pleased to announce the first tranche of assay results from the winter drilling program on the Company’s 100% owned West Bear Property, located in the eastern Athabasca Basin of northern Saskatchewan. On January 9, 2019, UEX announced it had commenced a $4.25 million 17,000 m 110-160 drill hole program at West Bear with the objective of expanding the size of the West Bear Cobalt-Nickel Deposit and extending cobalt mineralization along strike to the west. To date, the Company has completed 42 holes of this winter’s exploration program. The samples are shipped to the Geoanalytical Laboratory at the Saskatchewan Research Council in Saskatoon, Saskatchewan. Analysis at the SRC laboratory for Cobalt and Nickel was completed using the ICP-OES method with an Aqua Regia digestion. The SRC Geoanalytical Laboratory is an ISO/IEC 17025:2005 accredited facility (#537) by the Standards Council of Canada. 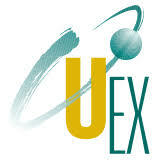 UEX is a Canadian uranium exploration and development company involved in nineteen uranium projects, including eight that are 100% owned and operated by UEX, one joint venture with Orano Canada Inc. and ALX Uranium Corp. that is 50.1% owned by UEX and is under option to and operated by ALX, as well as eight joint ventures with Orano, one joint venture with Orano and JCU (Canada) Exploration Company Limited, which are operated by Orano, and one project (Christie Lake), that is 60% owned by UEX with JCU (Canada) Exploration Company Limited which is operated by UEX.